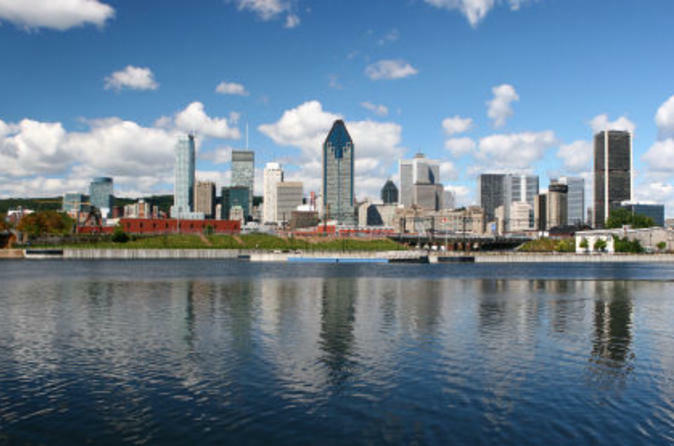 See the best of Montreal on this sightseeing tour with a professional guide. Aboard a coach, admire more than 200 top Montreal attractions and landmarks while enjoying live commentary, letting you learn about the sights you see. Highlights including Old Montreal, Olympia Park, Notre-Dame Basilica and St Joseph's Oratory. This is an easy, comfortable way to soak up the unique French character of this charming Canadian city! At your selected tour time, you'll be picked up at your Montreal hotel -- or you can meet at the pier or Peel Street -- to begin your sightseeing tour of this amazing Canadian city. Board a comfortable coach and cruise past hundreds of historical and cultural treasures such as Old Montreal, the historic center of the city that still preserves the charm and influences of bygone eras. Soak up the French atmosphere and enjoy panoramic views of the Old Port as you continue to Notre-Dame Basilica, a masterpiece of Gothic Revival architecture, and Olympia Park, built for the 1976 Summer Olympic Games. Mt Royal Park is a must-see. This scenic lookout offers a striking view of the downtown area and the river. Atop Mt Royal, you'll be greeted by St Joseph's Oratory, one of the world's most-visited shrines. The basilica's huge dome reaches 320 feet (97 meters), and is second in height only to St Peter's basilica in Rome! Other highlights include City Hall, Bonsecours Market, Place Jacques Cartier, Place Ville Marie, Chinatown and more. You'll have plenty of photo opportunities along the way, and your friendly, professional guide will provide informative commentary on all the sights you see.